During our vacation we ventured into the past. A small shop near Sky Valley. A craft cooperative in Dillsboro, NC. Hand-made flowers out of seeds! When we came back to Florida, I began to get a little sad. Knowing that we live in a city that is so fast paced and impersonal. I have even heard Tampa described as ‘culture-less’. Today we went to the Home and Garden show (which I wasn’t impressed with) at the Fairgrounds. 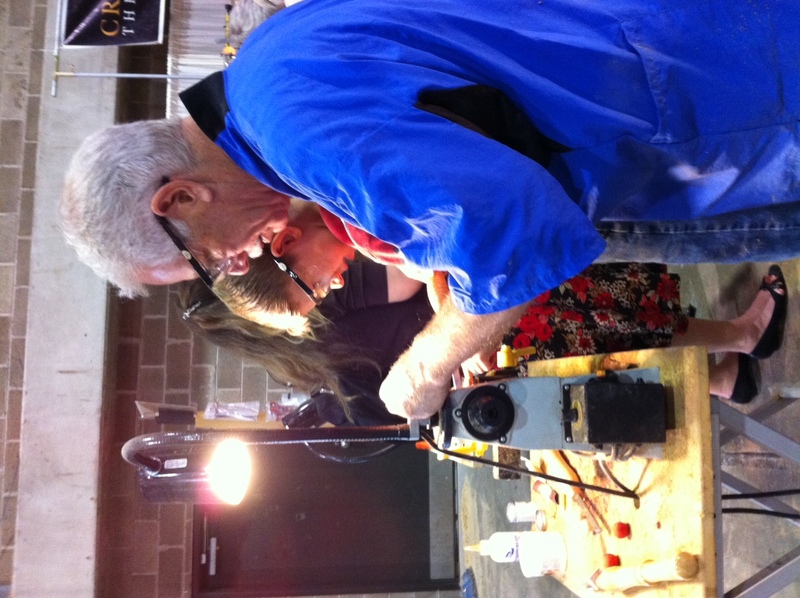 Next door was the Woodworking Show. We went in and found people still practicing such a lost art. David got to make a pen, while being mentored by sweet Alice. I am so glad that you are sentimental like me. always sad when people are replaced by robots or other machines. Yep! That’s the Girl Scout way… to MAKE things ourselves, huh? !